Did the Blue Jays Fix Adam Lind? How is it that somebody can go from being a cornerstone of the franchise to suddenly being cast aside and nearly slipping through waivers? It might seem odd how a player can fall so far so fast, but such is the case with Adam Lind. Admittedly, I had soured on the idea of Adam Lind as the everyday first baseman long ago. But with his recent play, I may just be warming up to the thought of keeping him in a Blue Jays uniform beyond 2012. It wasn’t really all that long ago that Adam Lind and Aaron Hill combined to be one of the best 1-2 offensive punches in the American League. But ever since 2009, Lind’s career has been on a slow and steady decline. After a few consecutive sub-par seasons, Adam Lind’s descent into mediocrity became very evident this year. Being optioned to the minor leagues and being taken off the 40-man surely must have been a huge wake up call. Couple that with yet another back injury which sent him to the disabled list shortly after being recalled in early in July, and you could safely say that 2012 has been a tumultuous season for Adam Lind. Some might indicate that Adam Lind might be a lost cause going forward, but if these past few weeks have been any indication, I think this 29-year old still has some gas left in the tank. Perhaps the most promising sign with Adam Lind has been his renewed approach at the plate. Whether it was Dwayne Murphy or someone down in Las Vegas, they really did overhaul Adam Lind’s batting stance. Here’s what Lind’s stance looked like in early 2009 career year; very hunched over and his hands set somewhat far away from his body. Compare that with a screencap from Opening Day 2012, and it’s easy to see that Lind has veered far away from the batting stance that made him so successful in 2009. While his feet are planted relatively in the same spot, Lind’s back is much more upright in the screencap above. Perhaps a side affect of all those reps at first base these past few years, and he’s merely just compensating. It also looks like Adam’s hands are a little higher up in a set position, and slightly closer to his body than in 2009. And here we have the most recent example of Adam Lind’s latest batting stance, and it really is night and day compared to his early days with the Blue Jays. After spending some time in Las Vegas, he’s standing even more upright and his hands are even higher and closer to his shoulders. The early results from this new batting stance seem to be working, as Lind is hitting .281 in 9 games since his early return to the Blue Jays on August 27th. And since coming back from his exile in Las Vegas, Lind has posted a .286 batting average and is OPS’ing .807. It’s not the largest sample size in the world, yet it’s a promising start. He’s not exactly tearing the cover off of the ball, but it’s certainly a respectable line for a player who was thought to be a complete lost cause earlier in the season. Part of the key of Adam Lind’s second half resurgence can possibly be attributed to his lack of play in the field. He’s started 24 of 31 games at DH since June 25th, leaving the first base duties up to mostly Edwin Encarnacion and David Cooper. While Adam Lind has clearly shown he can play first base, I think the ill effects of picking balls out of the dirt and reaching for grounders has taken its toll on Adam Lind’s back. So the fewer games he sees in the field, the better. 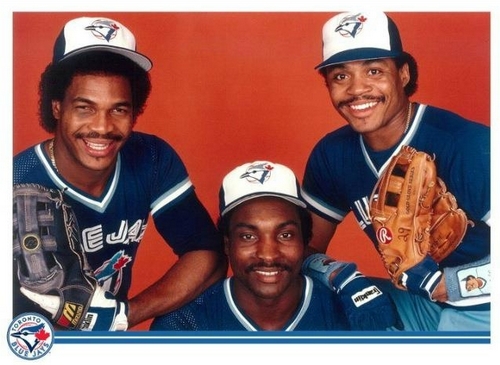 And let’s not forget that his best season as Blue Jay was when he was strictly a DH and didn’t field a position. Some players might need the distraction of hitting the field every half inning to take their mind off hitting, but I think Adam Lind has shown that he’s one player where that’s not the case. If Lind can focus strictly on hitting again and only pick up a first baseman’s glove on the odd occasion, that could very well be the way to maximize the potential out of him. And at a $5 million salary next year, I can’t see the Blue Jays quitting on the Adam Lind project quite yet. Say if the Blue Jays do in fact go out and upgrade at DH next season and sign someone like David Ortiz, that doesn’t necessarily signal the end of the road for Adam Lind either. He could still be a potent bench bat and get the odd start against a right-handed pitcher. Adam Lind may be bent, but I wouldn’t say he’s broken. 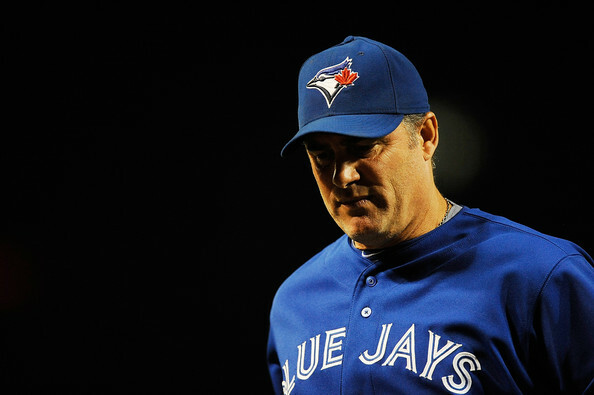 Would Farrell Fly the Blue Jays Nest? Have the Blue Jays Actually Fixed Their Clubhouse Chemistry? You know, I was thinking this exact thing about Lind the other day. I was actually looking forward to seeing him in the line-up, and I wasn't that upset about seeing him bat 4th. However, despite his ok numbers in this tiny sample, I think the only reason i'm actually happy about him playing is that the other options have been even worse! Compared to the rest of the anaemic offense, it's nice to see his 'somewhat' veteran bat out there. I believe that if we still had all of our bats in the line-up, with no injuries, we would be scratching our heads with why they are running Lind out there. However, that is not the case, and for the time being, I'm pretty happy to see Lind. In the ideal world, Adam Lind really shouldn't be hitting cleanup for the Blue Jays, but he's about the best option they have right now. In a healthy Blue Jays lineup, I think he'd be an okay 6 or 7 bat. And like you said, they could do much worse! Let's not forget that for a brief period of time last year, Adam Lind was a world beater, too…. then the wheels fell off. If the Jays are serious about competing next year like they say they are, they simply can't trust/hope that Adam Lind is going to be anything other than his last 1300 major league ABs say he is: a .242/.293/.424 hitter that can't hit lefties. Immediately after his recall, Lind hit well, posting a .937 OPS in his first 6 games. His next 13? .733 OPS. Since coming back from his back injury? .699 OPS. Some aribitrary end points there, for sure… but it's not all roses for Lind. The back injury should also be concerning to the Jays regarding Lind's ability to contribute. That's why I think Lind in small doses might be alright. Limit him to starts against right-handers and maybe the odd day at first when Encarnacion needs some rest. The less time Lind sees in the field, the better. Each of those images has the pitcher in a different point in his wind-up, so doesn't it make sense that those subtle differences are simply due to Lind being at different points of his swing? His plate discipline and batted ball profile has not really changed much during his initial poor start, the hot streak after being recalled, and since his return from injury. Lots of ground balls, and taking a lot of pitches in the zone. I'm not convinced we are actually seeing any real improvement here. How do you burn a bench spot on a guy who can barely play first base? If they have any hopes on competing next year Lind just can't be on the roster. It's not like this is a particularly deep offense anyways, consider Bautista coming off wrist surgery and they could be damn near average. I guess the same could be said for Omar Vizquel this season. Sure, he can play SS 2B or 3B, but he can't run or hit very well. Lind is a plus bat, but doesn't have very much defensive flexibility. I was defending Lind for a long time on my own blog, but I just can't make a case for him anymore. The problem with Lind isn't just his hitting, it's his health. By all appearances, Lind is going to have to deal with back issues for the rest of his career. If he was a better hitter (850-ish OPS), I'd be okay with that. And if the team could count on him being available for 160 games, I'd be okay with a .750-.800 OPS from Lind. Unfortunately, we can't count on him either hitting well OR staying healthy. I'm hoping the Jays make an effort to get a new DH in the offseason, or at least, that they get better in other places (LF? C?) so that the team can bat Adam 6th or 7th. With Lind, I think he hasn't changed very much as a player, it's just that expectations have grown exponentially. By all accounts, every other team in the AL has a slugging first baseman, and Lind just doesn't fit the bill there. But if the team does upgrade at those other positions, then there's nothing wrong with keeping him down in the lower part of the lineup. I don't have any insider knowledge but Lind doesn't strike me as the type of player that takes conditioning seriously which I think can be related to the back issues. I base this only on seeing him interviewed. There's being laid back and there's making sure you have the tools to do your job what ever it may be and in Lind's case it's being physically fit to play a premium position at the ML level. I wouldn't be upset to see him move on but what team is going to take him in a trade even with the team friendly contract? That's the thing – I think Lind is the most valuable to the Blue Jays than any other prospective team out there.